We have talked about aphid mummies before. 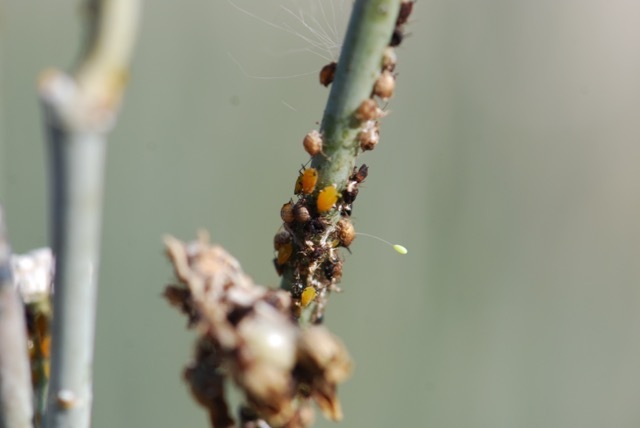 They are the hardened shells formed when the aphids are parasitized by tiny wasps. 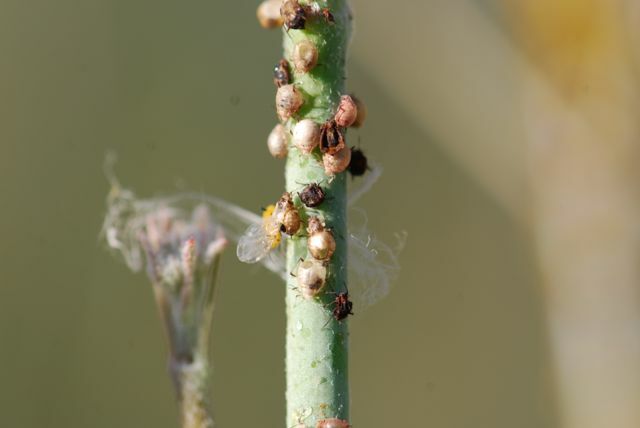 This week the oleander aphids, Aphis nerii, have a high percentage of mummies. In fact, it was hard to find healthy bright yellow aphids. The mummies are all the beige to dark brown forms. 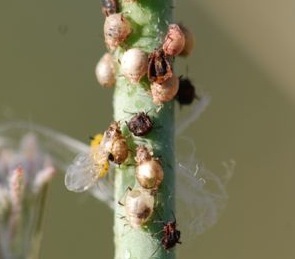 In this photograph there's a winged aphid that is mummified (the only live aphid is right behind it). If you look closely, you can see the dark round hole in the back to the aphid's abdomen where the adult wasp emerged. 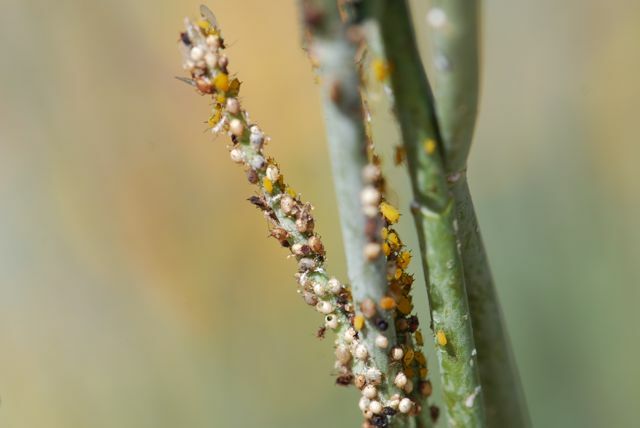 Parasitic wasps are one reason aphids may disappear from plants so quickly.